Montreal, located in the French-speaking province of Quebec, Canada, is frequently rated as one of the world’s most livable. 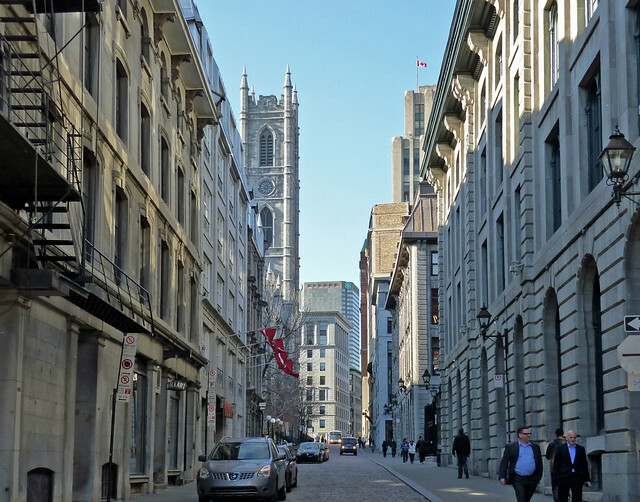 With a quaint, cobbled Old Montreal, vibrant downtown, a large underground mall, and picturesque location on the Saint Lawrence River it isn’t hard to see why. 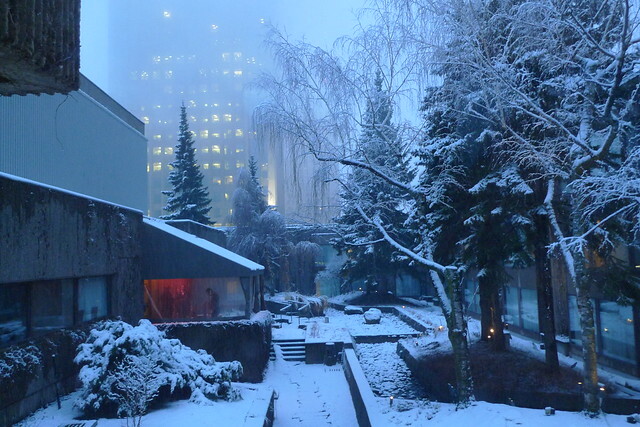 Summers are mild with some rain and winters get cold and gray (but that’s just a good time to visit the underground mall), but the city is fun all year long, no matter what the weather. 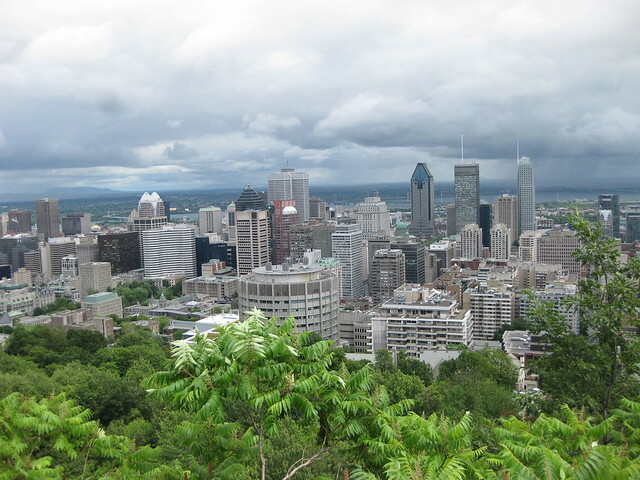 The city has excellent nightlife and attracts many concerts at the Bell Center. Every summer, festivals take over the streets of Montreal. Some, like the Montreal Jazzfest, have been here for decades. From traditional Quebecois cuisine to ethnic specialties from around the world, the dining scene in Montreal rivals what you will find in Sand Francisco and New York. One of the easiest to find (it’s even served at McDonald’s) and most basic of Quebecois comfort foods is poutine: a plate for French fries with gravy and cheese. For dessert, a tarte au sucre, translated as maple sugar pie, is a Canadian favorite made with real Canada maple syrup. In the Old Town, creperies are on nearly every corner offering sweet crepes topped with everything from a touch of sugar to ice cream and savory crepes stuffed with cheese, vegetables, meats, and/or eggs. 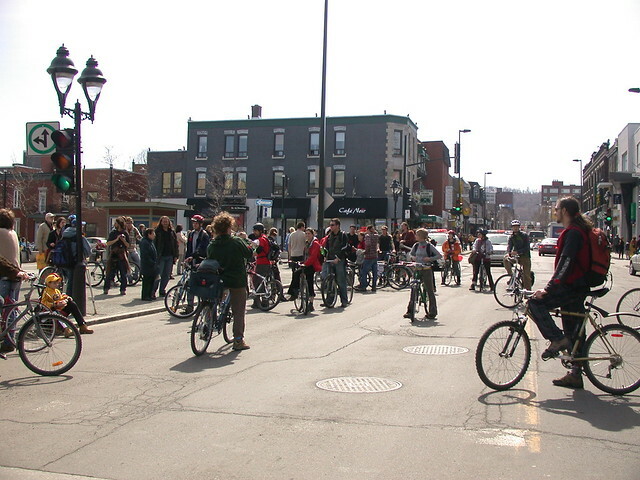 Many neighborhoods in Montreal offer specific types of cuisine. Chinatown, for example, is the hub for all Asian foods. You’ll find quick Chinese take-aways, dim sum restaurants, and specialty restaurants for Japanese fondue. The Montreal Bio-Dome houses a replica of four different ecosystems that visitors walk through to observe flora and fauna while learning about the different climates. You’ll explore North American wilderness, the Gulf of Saint Lawrence ecosystem, arctic and Antarctic, and South American rainforest. You might meet tree frogs, a sloth, and penguins. Near the Bio-Dome, you’ll find the Botanic Garden, which is actually a series of gardens in many different styles. Immerse yourself in the First Nations Garden, which showcases the plants that the first inhabitants of Quebec would have encountered, or the explore the greenhouses to learn about plant species from around the world. The Montreal Amphi-bus Tours cover historic, Old Montreal and then splash into the waters of the Saint Lawrence River while your guide tells you about what you’re passing. You’ll learn a bit of the history of Montreal and other fun facts about the city as you cruise.